AXACON to be held the weekend of NOV 2-4 in Atlanta as part of SPHINXCON! The Manticore Company, LTD (TMCL) and Axanar Productions are pleased to announce that TMCL’s newest convention, SphinxCon will include Axanar Productions’ AxaCon as a unique“convention-in-a-convention” on November 2–4, 2018 at the Crowne Plaza Atlanta-Airport. SphinxCon is the newest intimate Literary Military Science Fiction and Fantasy Convention in Atlanta. It is the Annual Convention of The Royal Manticoran Navy: The Official Honor Harrington Fan Association. 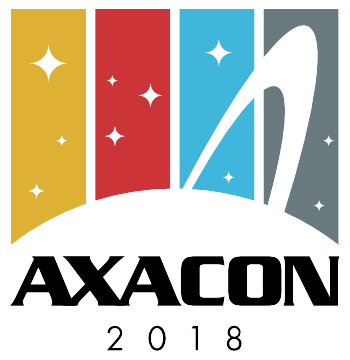 AxaCon is the official convention of Axanar, the Star Trek fan film dubbed “The Ultimate Fan Film” by Newsweek magazine. SphinxCon will provide AxaCon with a dedicated space for their panels and events. In return, AxaCon will bring in additional guests as well as a display of various television and movie props from Axanar Productions’ CEO Alec Peters’ personal collection. Peters is known throughout the sci-fi world as a collector of screen-used props from a variety of science fiction franchises, most notably Star Trek. Indeed! Already, Alec is lining up guests to appear, including co-writer/director (and Marvel Comics writer) Paul Jenkins, Steven “Admiral Slater” Jepson, Stalled Trek fan filmmaker Mark Largent…and a certain blogger of your acquaintance. Yep, Alec activated a seldom-used reserve activation clause and drafted me. JONATHAN – Welcome back, Alec. It feels like only a week since we did our last interview! ALEC – It WAS a week. Feels longer, though. JONATHAN – Okay, enough about temporal distortions. We’re here to talk about AxaCon! So how did this “convention-in-a-convention” come about? What’s the secret origin of AxaCon? ALEC -AxaCon was originally conceived back in 2015 before the lawsuit even happened. Obviously, getting sued put the brakes on a lot of things we had planned to do, but we were intent on having a fan event for Axanar donors and sharing all the wonderful people who worked on the show. There is only so much interaction that you can have online. Meeting fans face-to-face and discussing Axanar in detail is a blast! 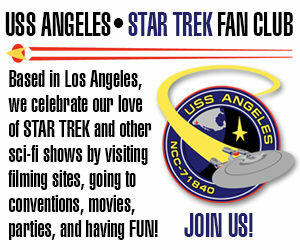 The biggest challenge to hosting a small convention for Axanar supporters and fans is coming up with a place to hold it. OWC Studios isn’t really suited to having a hundred or more people for a day or two. So that would leave us with the need to find a hotel to host the event. But hotel conference space isn’t cheap, and you usually have to guarantee a number of room nights. And depending on turnout, we’d likely either have to charge an outrageous price for individual tickets or else spend more than we make holding the convention. But then I was talking to my good friend Dave Weiner of the Royal Manticorian Navy, the official Honor Harrington Fan Association. I met Dave three years ago at Treklanta and he practically drafted me into the RMN! He is a brilliant guy, a fan of Axanar, and a straight shooter. Dave was doing SphinxCon, their annual convention here in Atlanta, and invited me to be a guest. So we started talking about ways too work together, and it just seemed like a great idea to hold AxaCon as part of SphinxCon. It was funny because Dave and I were brainstorming about things to do at the con, and the idea of bringing AxaCon into his event just popped up. I think from the time he and I discussed it to the time he got his team’s approval was only three days. Then, every time we get together on the phone or on Facebook messenger, we think of new great things to do. He has enormous passion for his event, and he is super-organized. Even his website is outstanding, which I expect since he works in technology. I love the Honor Harrington books, and so I am just really excited to do AxaCon with Dave and his team. JONATHAN – So AxaCon is going to cost $25 on top of the $50 for SphinxCon? Is there any way for fans to come only to AxaCon and not have to pay the full $75 for both? ALEC – No, you must buy a SphinxCon ticket as they are the ones renting the facility and booking the hotel and running the website. They are doing a ton of work, and it is their convention that we are tacking onto. JONATHAN – I’m guessing that most fans and supporters will be flying, rather than driving, into Atlanta (including yours truly). How far is the convention hotel from the airport, and is there a hotel discount for people coming to the convention? ALEC – There is a special convention rate of $112 at the Crowne Plaza Atlanta-Airport if you book by October 12. And the hotel is only a mile from the airport and has a free shuttle. JONATHAN – Oh, that makes me very happy. Are all the guests confirmed yet? ALEC –We are working on the guest list now. Heck, we just signed the deal the other day, Jonathan, give us some time! Right now, we’ve got you, Paul Jenkins, Steve Jepson (Admiral Slater), and Mark Largent, who did Prelude to Ax’d-We-Are with you. I have also invited Eric Henry of Pacific 201 (Eric was Axanar‘s set designer), Marc Nacarrato of The Romulan War, and Kenny Smith of First Frontier. We hope to screen all of them, have a panel on each, and a group fan film panel. JONATHAN – What if those three fan films aren’t finished yet? Pacific 201 isn’t supposed to be done until next year. ALEC – That’s fine. We can always screen the trailers and the short teasers. JONATHAN – That’s fair…although how cool would it be to debut First Frontier during the con! ALEC – That would be awesome. And Kenny Smith is relatively local in Orlando. I hope he can make it. JONATHAN – So is this becoming more of a general fan film mini-convention more than just Axanar-only? ALEC – Not really. It’ll be mainly focused on Axanar plus a few fan films that are coming out between now and then…and mostly ones that fit into the “military fiction” theme. JONATHAN – Are you planning to use the proceeds from this convention to fund production of Axanar? ALEC – Hardly, Jon! We’re using it almost exclusively on our guests. We’re putting them up in the hotel during the con. ALEC – Yep. But you’ve gotta share a room, ’cause we’re not bringing in THAT much! Oh, and we’re gonna make sure you’re rooming with someone who snores really loud! JONATHAN – Well, thanks…I think. I actually thought I was gonna stay in one of your spare bedrooms at your new house by the pond/lake. ALEC – It’s easier if everyone is in the hotel…then no one needs to rent a car or carpool back and forth. Also, it’s a really nice hotel. JONATHAN – So how much do you expect to bring in? ALEC – It’s hard to say this early on. We’re hoping for maybe a hundred people. At $25/ticket, that’s $2,500. As I said, rooms are $112/night plus tax, 2-3 nights per room. We’ll be lucky to break even or have a few hundred dollars left over. So as you can see, this isn’t a “big” event intended to fund our $150,000 production! But it will be a lot of fun. So I invite any Axanar fan, donor, supporter, or just anyone who loves fan films to come to Atlanta on November 2-4 and join us for what looks to be a really awesome time. JONATHAN – Okay, Alec, you talked me into it…now I just gotta remember to bring ear plugs to use when my roommate starts snoring! That’s news to me! Where’d you hear it, Grif? Previous Previous post: SPACE COMMAND to debut first 30 minutes of their pilot at SAN DIEGO COMIC-CON! Next Next post: THE FALL OF STARBASE ONE – the latest Trek Fan Film from AUSTRALIA!